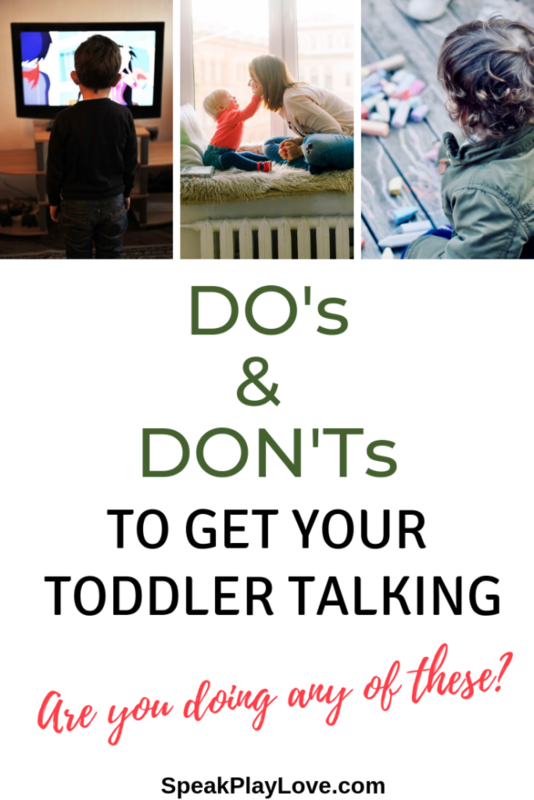 Do’s and Don’ts to Get Your Toddler Talking | Speak. Play. Love. This post contains affiliate links, which means we could receive a commission if you click a link and purchase something that we have recommended. When your baby is tiny, you get in the habit of doing everything for him – as you should! 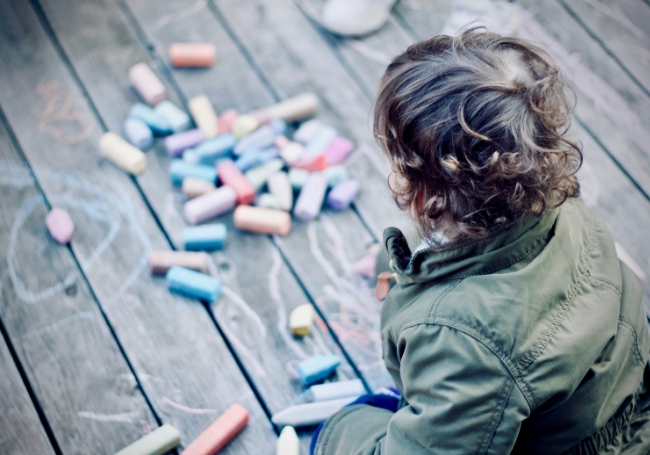 But if you hang on to some of the habits you started from birth, you might be doing your budding toddler a disservice. Your newborn needed every need met by you, so you tried to anticipate what she would need before she cried/melted down – a bottle, a burp, sleep, etc. but as your baby grows, start to take a little step back to give her the chance to communicate what she needs. 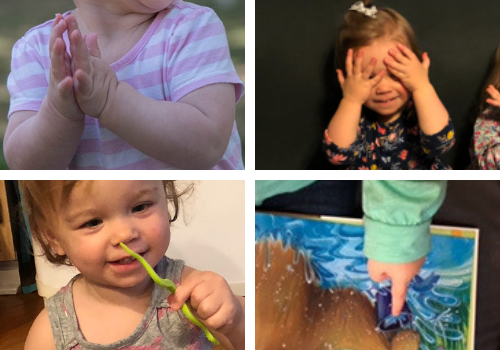 Notice that I said, “communicate” rather than “talk.” That’s because as early as 6-9 months, you can start to let your baby can use gestures like pointing or pulling your hand or baby sign language to tell you what she wants. Check out this sign language video library by clicking here. Of course, if your little one is a bit older and starting to talk, then give her some space to do that! Luckily, as her caregiver, you’ll probably have a good idea of what that thing could be, which will help as early communication isn’t always clear. There is a term used by Speech-Language Pathologists to describe when a caregiver mimics coos and gaga sounds back to a small infant – “Mother-ease.” Using mother-ease is a wonderful way to engage with a very young infant and also involves eye contact, humming/singing. Do This! It’s encourages language development in very young babies. But don’t keep using nonsense sounds as your baby gets closer to the one-year mark. You want to model full, useful words and short phrases. It’s so important for babies to hear all the sounds in our language, including the harder/later-developing sounds like “r, l, and th.” So don’t deprive your baby of hearing these sounds on a regular basis. And then there’s a time for interactive play where you get down on the floor and participate. (see more about this below). Both are great! So pick one of those and don’t get caught in the middle by telling your child HOW to play. Once he starts to talk a bit, you’ll want to ask, “What’s that?” constantly. It’s amazing to see what new word he’s learned recently. This is one tip that I have trouble following if I don’t remind myself and take a step back! Now, there’s nothing wrong with finding out what words he knows, but don’t let quizzing be the only thing you do when you are out and about or reading a picture book. Instead, keep teaching him new words and phases by narrating what you see. If he points out something, you can expand on what he says. For example if he says, “truck.” You can say, “Wow, that’s a big truck!” This way, you are keeping the conversation going and adding an extra detail (big). He doesn’t have to repeat you. This is just a way to keep the language-learning going! This is a tricky one because educational toys and apps sure do advertise a lot about how well they teach language concepts. And that’s the thing – they teach language concepts. Concepts are not the same as talking. Concepts are vocabulary, grammar, ABCs, shapes, colors, etc. Talking, on the other hand, is very social and reciprocal. As caregivers, we constantly adjust how we talk to and teach our children based on so many factors – without even realizing it! You are your child’s best teacher, so please don’t think an app can replace you! Point out things around you or in books and tell her the name for that thing – or the name of that action, or color, etc. Try narrating what you are doing or what she is doing in child-friendly language (keep sentences short and use simple words). 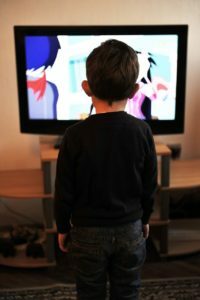 You don’t have to do this constantly, but when your child is interested in something, take advantage of that! Read more about how to do this with examples here. This takes practice. Giving extra time was one of the hardest things for parents to master when I was providing speech therapy to toddlers. When you ask a question or you know your child wants something basic that he has the word for like “milk” or “up”. Don’t jump in and repeat the question right away or model the word he should say right away. Instead. . . wait. I mean really wait. Count in your head for at least 3-5 seconds. Some kids need longer. I’ve been known to wait up to 15 seconds as long as the child is not getting really frustrated or distracted. This is especially true if you think your child knows the answer but has difficulty with processing speed or initiation. If you’ve really waited, then model the word and wait again. Still nothing? Say the word as you hand over the item he wants. 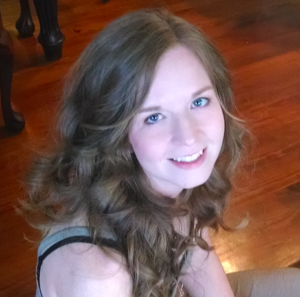 Instead of anticipating her every need, sometimes act confused – even if you have a good idea of what she wants. It’s all about creating opportunities for communication! This also builds in wait time – see #2! Don’t do this to the point of her getting too frustrated. 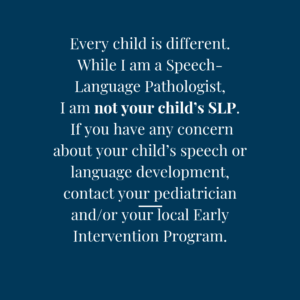 You can always jump in before the point of frustration and model a word she can say or sign language she can use. 4. Use your Regular Voice – But Don’t be Afraid to Get Creative! 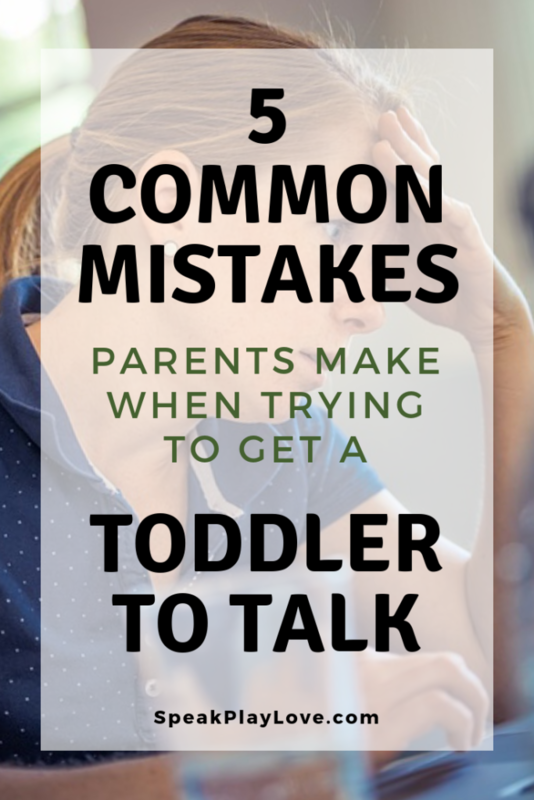 We talked about not using “baby talk” above. 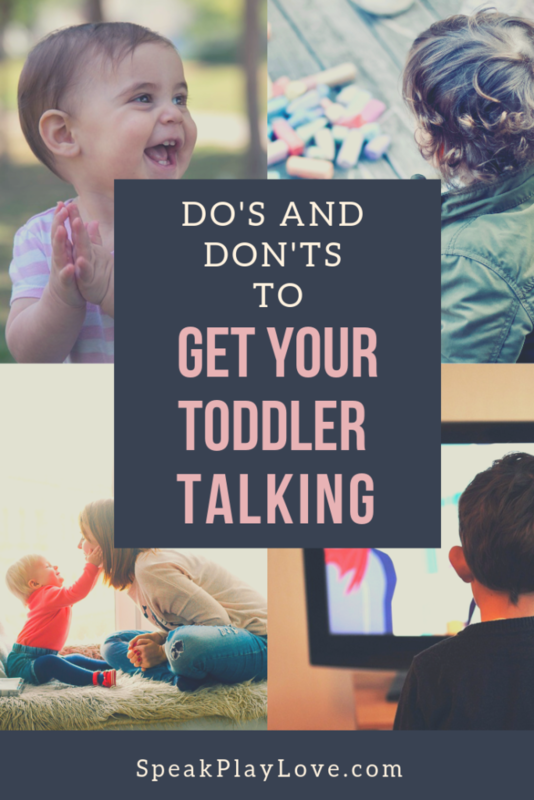 So how do you talk to toddlers on their level and while keeping their attention? Keep your sentences short-ish and don’t be afraid to act excited and animated when you talk. Then, every once in a while, try an excited whisper! This is perfect when you are trying for a “sense of wonder.” You’ll likely get your tot’s full attention and maybe a little lean-in too! 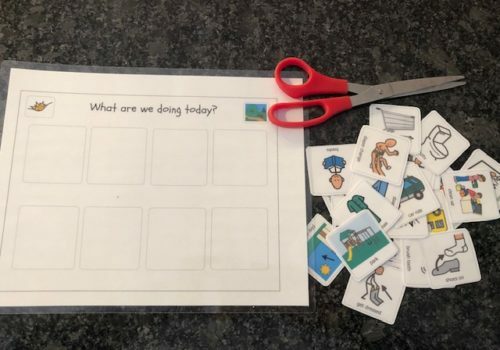 Interactive play, meaning you are on your child’s level – talking to him and playing with toys or items of interest, is integral for building language development. You might plan a fun activity (like pasta threading or reading books or a sing along) but you don’t have to! Just follow his lead. If he’s interested in cars right now, play with cars. If he wants to spin around in circles, spin around with him – or at least tell him “ready, set, go!” and then talk about how dizzy he is! I hope these tips were helpful! Thanks for reading! I have found your posts very interesting. Lots of good advices and ideas for kids speech. I would like to ask you for help or you can call this advice. I have 2,8 year old boy who talks well in mother language, witch is Russian. He is about to go to nursery and I want him to feel comfortable with kids and stuff there. What will be your advice to teach him to start? My own language isn’t best, don’t want to teach him wrong. Maybe you have some ideas? Learning two languages at your son’s young age is wonderful!! When he is immersed in the new language all day at nursery school, he will pick it up so fast. It sounds like you definitely know a good amount of English judging by your writing. If you are worried about him learning the wrong grammar from your English, I think he will learn the proper way by being around native English speakers at nursery school. 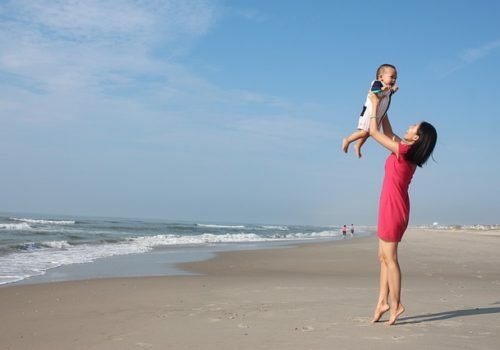 Before he goes, try to teach him some important words or sentences in English that he’ll need those first few weeks (about eating, drinking, toileting, etc.) by using those terms in English in your home. You can also practice this with pretend play – you can pretend with a stuffed animal or a doll while speaking in the new language. Another thing to try is a first words book in English. He’ll pick up the rest soon enough! One thing to note: when he is beginning to learn the new language, his native language learning might seem to slow down but this is normal and temporary. Really his brain is doing twice as much work!